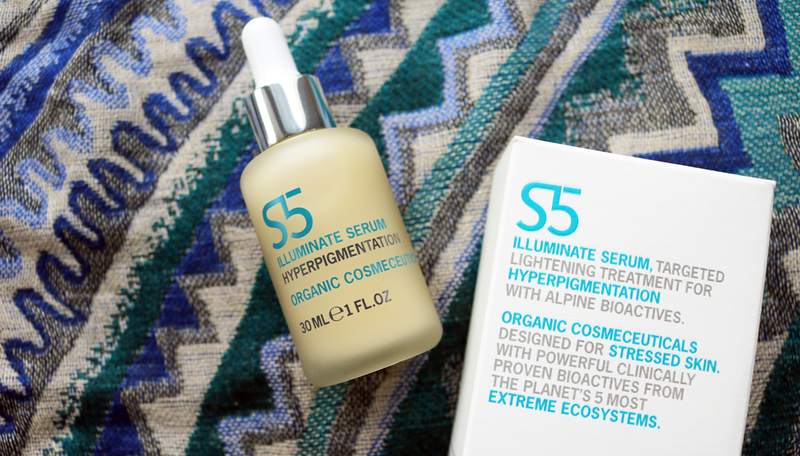 S5 are an organic green beauty brand who I've tried a couple of things from before in the past, but they are mainly known for their targeted treatment serums. Each serum addresses one of the five most common skin concerns (blemishes, sensitivity, dryness, hyperpigmentation and premature ageing), and they can be mixed and matched to meet your individual needs. What I find really interesting about this brand is that use bioactive ingredients which are found in the most extreme ecosystems around the world. Being an Environmental Science student, I find ecosystems particularly fascinating, and the more extreme one is, the more I'm enthralled by it! The general idea behind using these ingredients from places like The Artic, Desert, Rainforests, High Altitude regions and the Sea is that whatever plants have thrived in these extreme regions have evolved over millions of years to be highly resilient to the elements around it, meaning that they're pretty badass. So S5 have taken this concept and used these bio-actives to create highly effective skincare formulas to resolve our skin concerns and help it against the stresses of our modern day world. 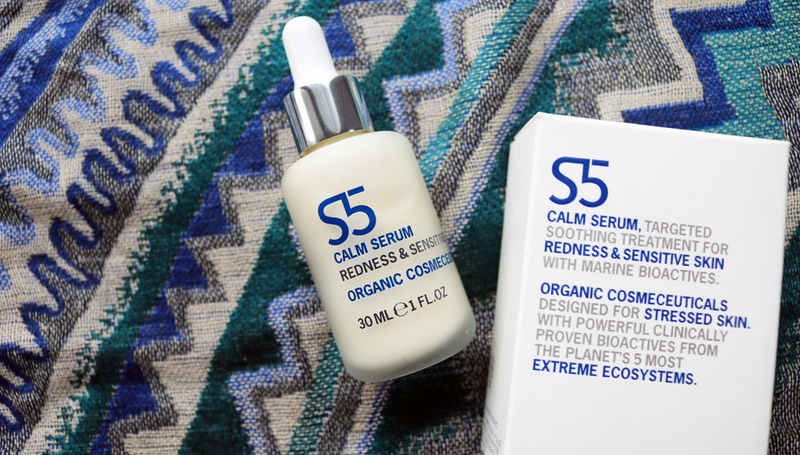 Everything that S5 produce is Ecocert organic certified and all the formulas are made from naturally derived ingredients so they're free from 'nasties' like SLS/SLES, parabens, mineral oil, silicones, GMO ingredients etc. Marine Bioactives - help to reduce persistent redness by 20% and also reduces signs of hyper-reactivity. Natural Hyaluronic Acid - a fantastic ingredient that I always look for in skincare as helps to lock in moisture, keeping skin hydrated and diminishing the signs of fine lines. Desert Glycoproteins - produced by a unique bacteria in the Wadi Desert, they help to increase hydration and reduce any roughness. Marine Peptides - improve the appearance of skin's vascularisation. The serum is a typical slightly thin and runny formula which is easily absorbed and doesn't feel greasy or sticky. To my nose, it doesn't have any strong scent, just a very subtle 'freshness', and it applies smoothly onto the skin. As with all of my serums, I've been using it in the evening after cleansing and toning before applying my moisturiser, and this has been working really well at reducing the redness around my nose and cheeks. However, this did take at least a fortnight of regular use before I started to see any differences in my skin, but now after six weeks, my skin definitely feels less sensitive overall and much smoother than it was before. Alpine Bioactives - help to increase skin's lightness by 15%. High Altitude Maca - helps stimulate cellular renewal and reduces the appearance of wrinkles. Marine Actives - protects against sun damage and reduces UV cellular damage. Papaya Enzymes - these are great as they gently exfoliate without the need for manual 'scrubby' bits so one to look out for if you have sensitive skin. The composition of this serum is very similar to the Calm one above, but maybe ever so slightly a tiny bit thicker. It's still easily absorbed, non-sticky/greasy, and doesn't have any strong or offensive scent. I was expecting to see a slow start to any noticeable results as the Calm serum took a while to kick in, but this one performed much quicker for me as I saw a difference after only a week. My skin had a much more noticeable, brighter glow about it in the mornings and I saw some very subtle lightness on my hyperpigmentation areas. I would say that this serum benefits from being used in conjunction with a good quality SPF to further protect the skin, and it's certainly one to look into if you want a brighter, more even skin tone. 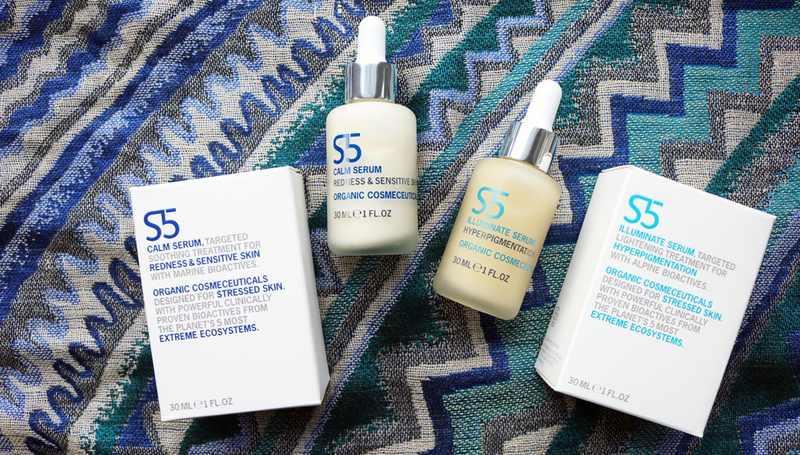 Have you tried any S5 skincare? Great review Evelyn! I love the renew one. I've recently got the the illuminate so fingers crossed it works for me!